When you are traveling to a new city or country you have many transport options. You can rent your own car and drive it by yourself, ask a friend to drive you around, hire a taxi a chauffeured car. Hiring a chauffeured car is always the best option as it comes with many benefits that include several things which are given below. When you are visiting a new place, chances are that you don’t know the area. Even if you have visited it before you haven’t mastered it. If you rent a car and decide to drive it by yourself, you may have to rely on the map or keep on asking people for directions in order to find your location. This is not only annoying, but also time-wasting. With a chauffeur service, you don’t have to worry about directions as the driver is most likely a local or has lived in the area for a long time. Due to this, he/she knows the area like the palm of his/her hand thus he/she will drive you around fast. Safety is a major issue when you are visiting a new place. The issue is more pronounced when you are a major player in the business arena. Professional chauffeurs have great driving records and know the area very well. Due to this, they know the safe places to drive through and those to avoid. If you have things that you would like to leave in the car, you don’t have to worry about them getting lost as the chauffeur is always in the car and will take care of them. If you have taken a long flight, you are most likely tired and want to relax. The last thing you want is waiting in line for a taxi or driving yourself and worrying of parking spaces. When you order a chauffeur service, you find the chauffeur at the airport waiting to whisk you to a hotel room or any your desired destinations. As a business person, you are busy thus you don’t have time to waste. 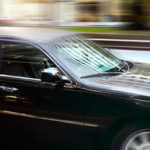 When you hire a chauffeur service you won’t be driving and as a result, you have a lot of time to catch up with work. You can go through the business records, make phone calls, and even reply to emails while you are on the road. This ensures that you get your work done even if you are traveling. The service is not only convenient, it also gives you style. 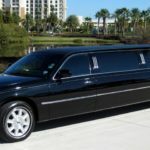 When you arrive in a chauffeured limo or any of your desired cars, people treat you differently as you are seen as a person of style and means. If you are in the business world this helps you create a professional image which attracts other business people to you. 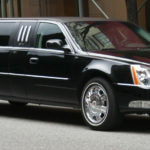 These are some of the benefits that come with the chauffeur service. 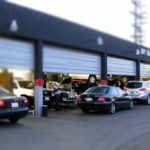 When getting the service, ensure that you get it from a reputable company with a wide range of high-quality cars to choose from.